Whether your days are spent sailing the seven seas or anchored in your office, it's always worth taking a trip to Tahunanui Beach for some fortifying refreshments. 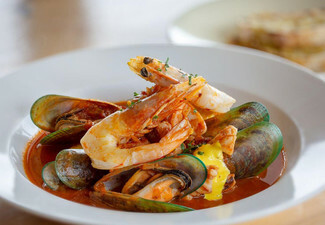 The generous menu at Smugglers includes a tempting selection of seafood and pasta dishes, as well as succulent steaks, juicy burgers and an outstanding selection of drinks. 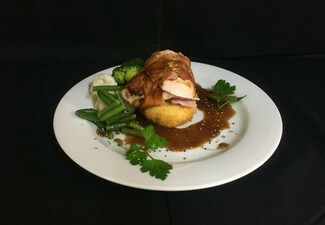 See the full menu selection here. 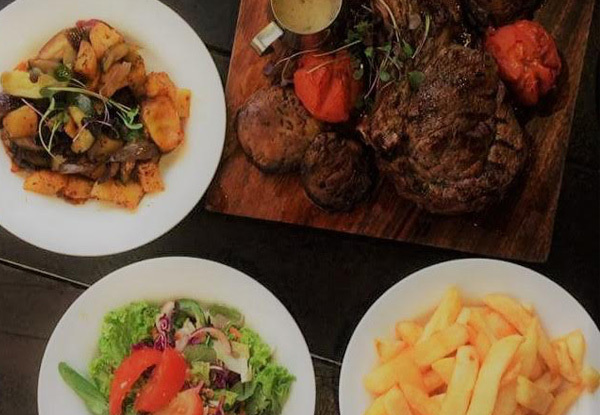 Bring along your friend or partner for a fabulous feast. No smuggling of food in necessary, it will be brought straight to you. 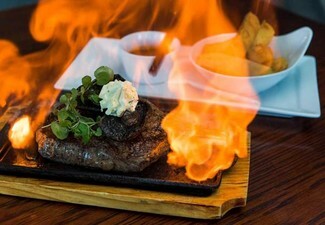 You'll find plenty of parking round back, and their doors are open seven days a week and the food comes hot and ready all day long, so be sure to pop in whenever you've got a hunger worth satisfying. 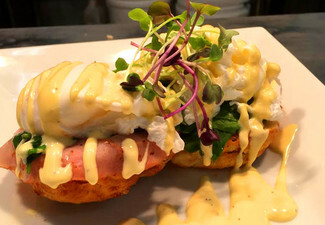 Grab a $40 dining voucher for $20 from Smugglers Pub and Cafe. 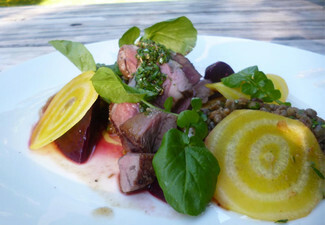 See all of their menus here. Not valid for Children's menu. 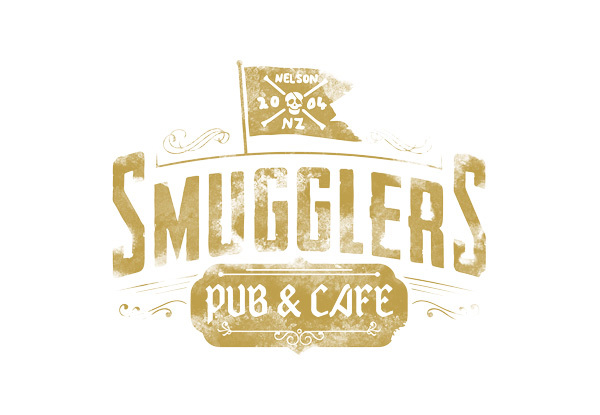 Smugglers are famous for its hearty meals, foaming craft ales and great wines, all served up in a unique old world atmosphere. 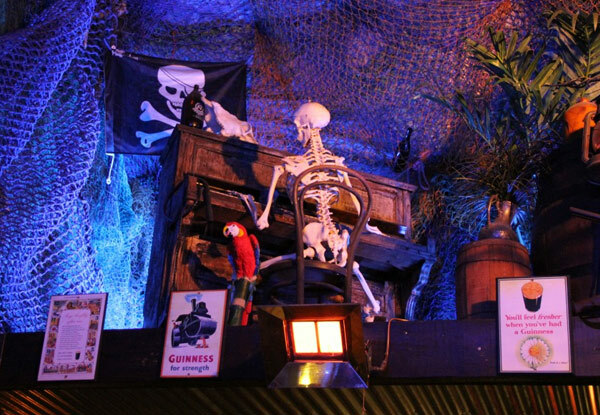 With an extensive and tasty range on the menu, including gluten-free selections and a children’s menu for smugglers-in-training, they also stock a variety of regional, national and international wines along with Mac’s, Speights, Guinness and Stella Artois beers. 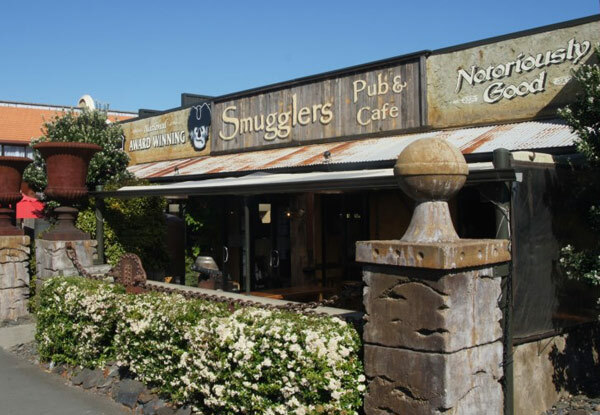 Located within easy walking distance of Nelson’s Tahunanui Beach and set amongst the area's busy motel district, Smugglers is the perfect spot to feed any group, big or small. 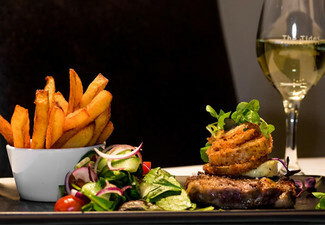 Valid from 5.00pm for dinner only, Monday to Sunday. Not valid on Mother's Day (12th May 2019) or public/statutory holidays. Not valid for children's menu. Bookings not essential. Subject to availability. Valid for two people only. Valid for food only. Not valid for beverages. Valid for dine-in only. Vegan, vegetarian and gluten-free options available. Must be used in one visit. No refunds unless required by law. No cashback. Not to be used with any other offer.